Smith Pump Company in Hooksett, NH, has its origins in both the states of New Hampshire and Massachusetts. Our business began in Wilmington, MA, in 1936, and we incorporated in 1965 in New Hampshire. We drill residential, industrial and municipal wells and provide pump installation for reliable water flow from your well. 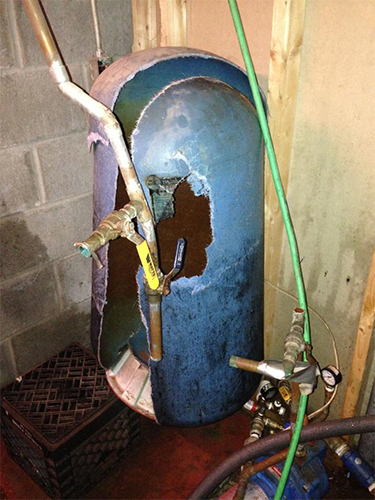 We provide diagnostics and repair services for your well, including flow tests, hand pumps, pressure tank repairs, hydrofracturing, camera inspections and geothermal wells. We are licensed, bonded and insured, and we have many years of experience and expertise serving our community with excellent well and pump services. We serve locations including Bedford, Amherst, Derry, Auburn, Goffstown, Atkinson, Chester and Windham. Our friendly customer service and skilled professional team will exceed your expectations with our efficient services. When you experience an issue with your water or need an evaluation of your well repairs, we will promptly address your needs. We can assist you with preventative maintenance to reduce the likelihood of future issues or repair needs. We are happy to assist you with learning about the needs of your particular pump system, and we will take the time to make sure your questions are answered. Throughout our many years of experience, we have encountered a wide range of well systems, pump types and repair issues. We are eager to share our experience with you to ensure that your water systems will work properly for a long time to come. Please give us a call today at 603-669-9119 to discuss your well drilling, pump or other water service needs. We are looking forward to speaking with you and earning your business and your trust. 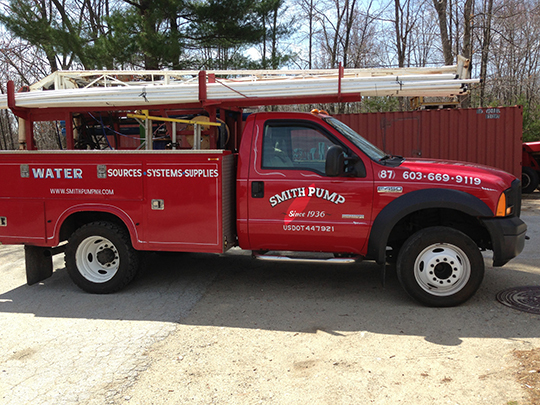 Smith Pump began business in 1936 in Wilmington, MA and was incorporated in New Hampshire in 1985. We drill wells for domestic, industrial and municipal applications and install appropriate pumps and plumbing for the same. Additional services include pump stations for community water systems, flow tests, hydro fracturing, well inspection / video recording and water sources for ground water source heat systems throughout the New England region. Copyright © Smith Pump. All Rights Reserved.